A starfish is a beautiful but deadly sea creature. 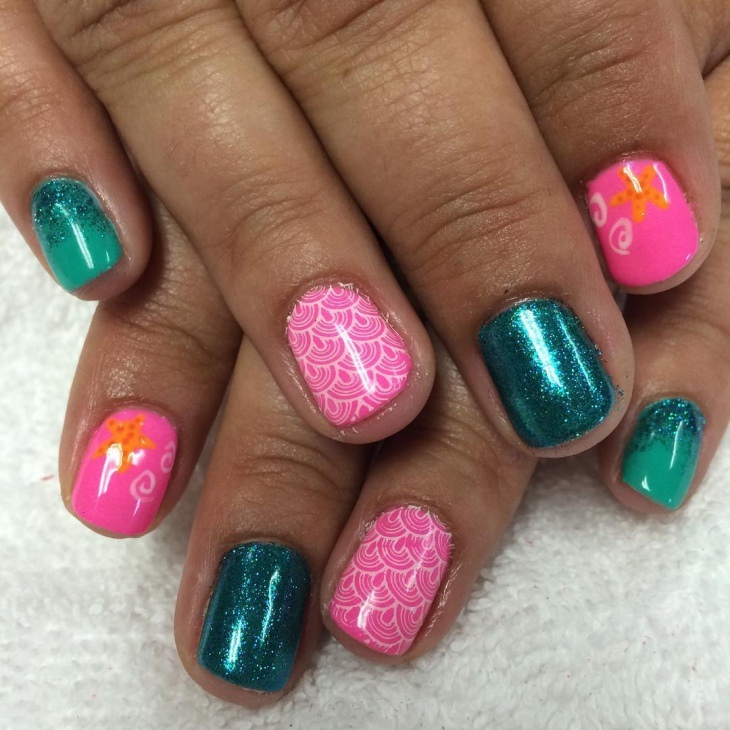 You can enjoy its beauty though without fear by using a starfish nail art design. 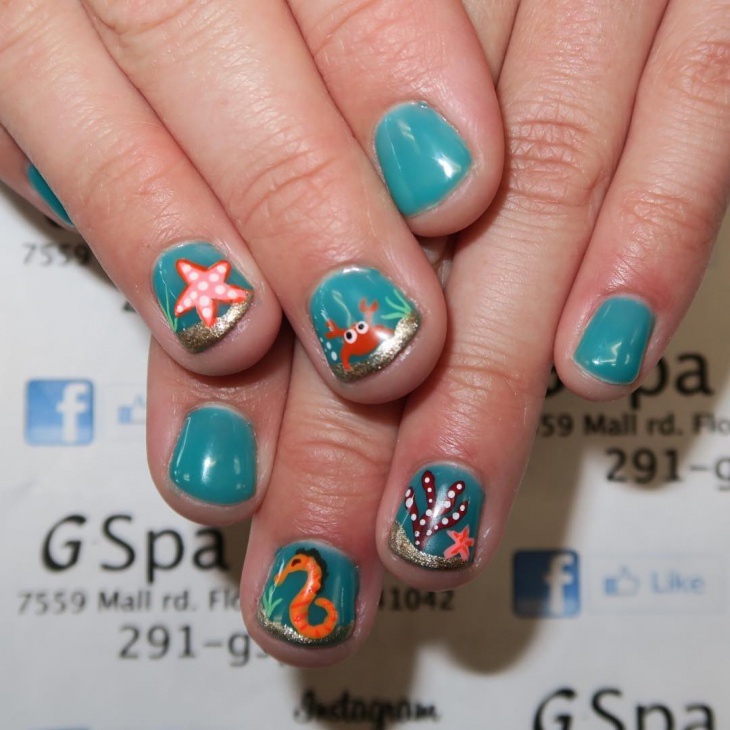 You can buy starfish nail art decorations or you can have the starfish painted on your nails. The choice is yours. 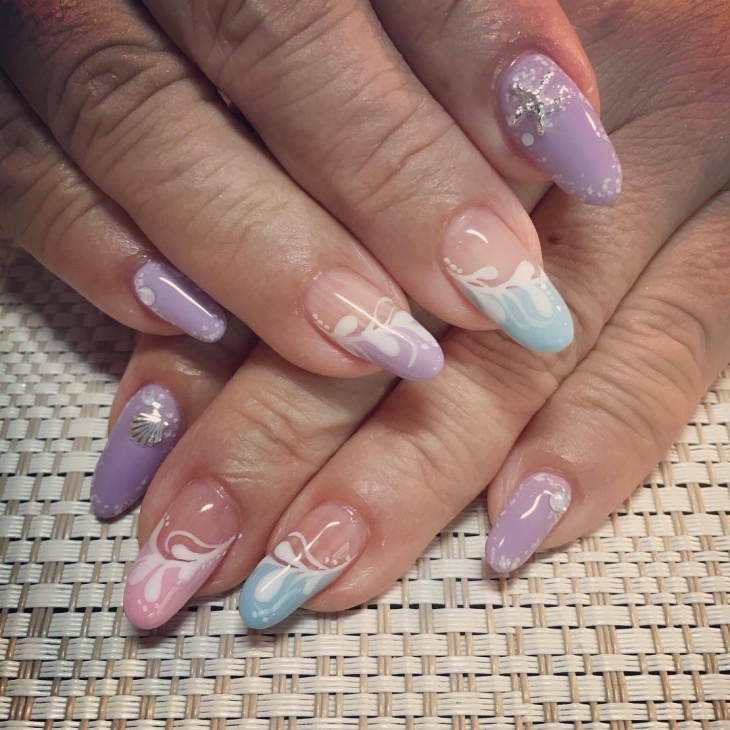 The good thing about ready made nail art decorations is that they are easy to apply, some sets for summer finger nail designs even come with additional accents like pearls, rhinestones and gold or silver studs. 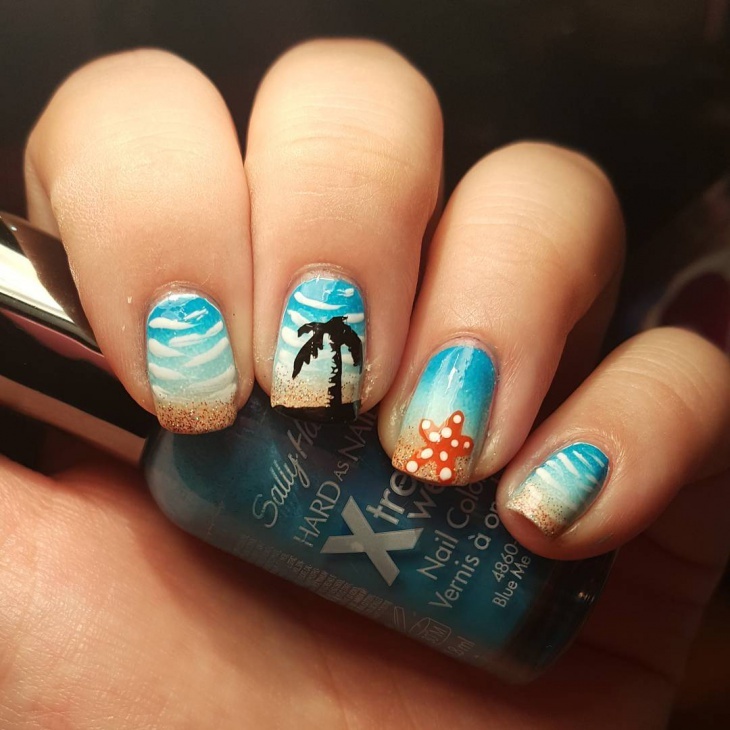 Summer is the best time to enjoy the beach and have fun in the sun. 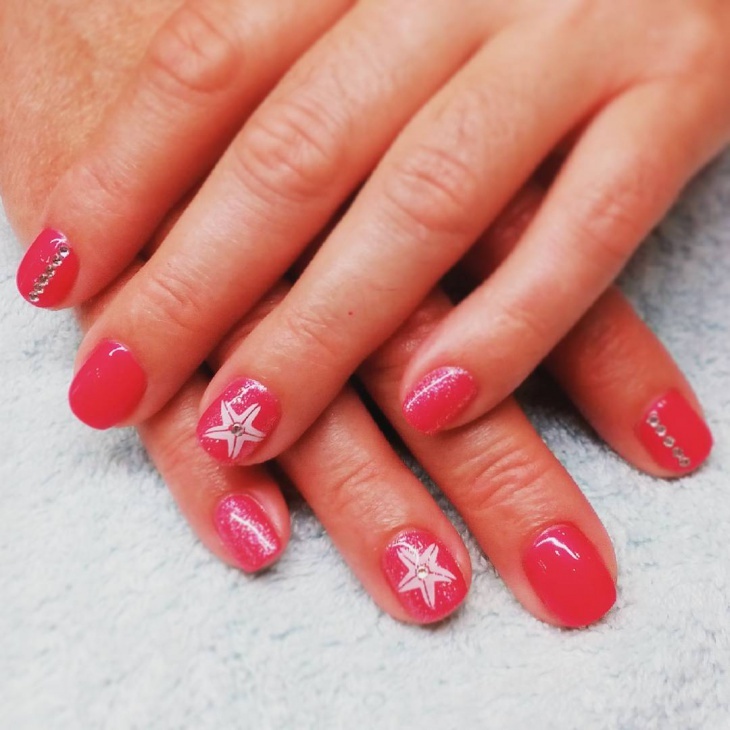 And what better way to have the best time than be properly equipped with summer essentials, like getting this pink summer starfish nail design manicure. 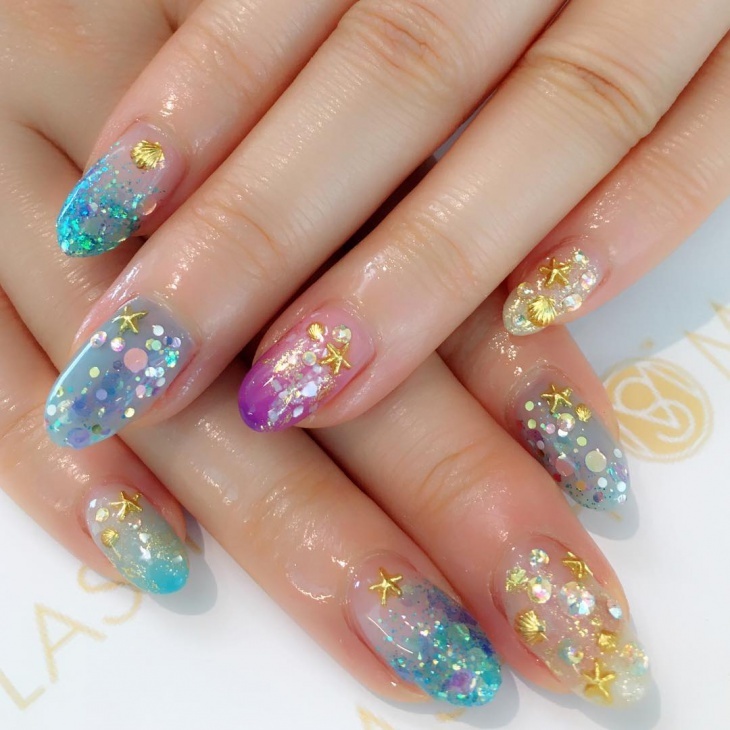 You do not need to have all nails painted or decorated with starfishes, just choose one nail for each hand and then turn it into something out of the sea and different from the rest. 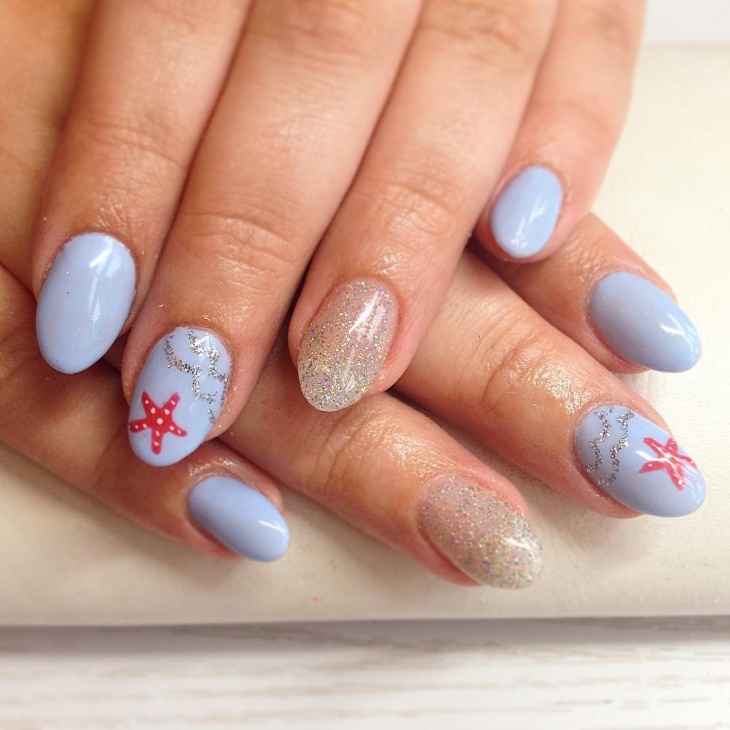 This glittery nail with three starfishes is a perfect example. 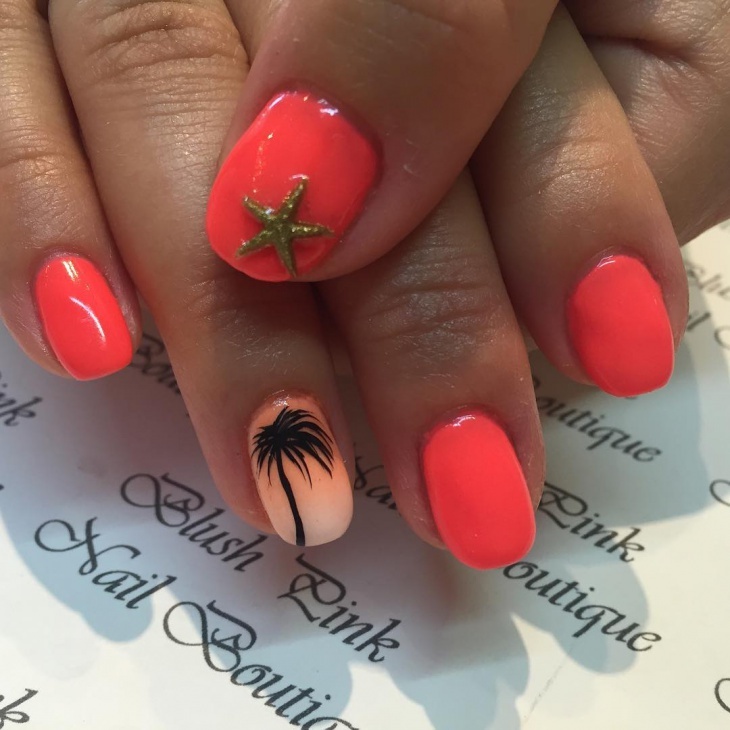 A single starfish nail art decoration sitting on an orange painted nail is probably one of the simplest and prettiest nail art design concept there is. It is perfect for women who are not much into glitters and colorful accents. 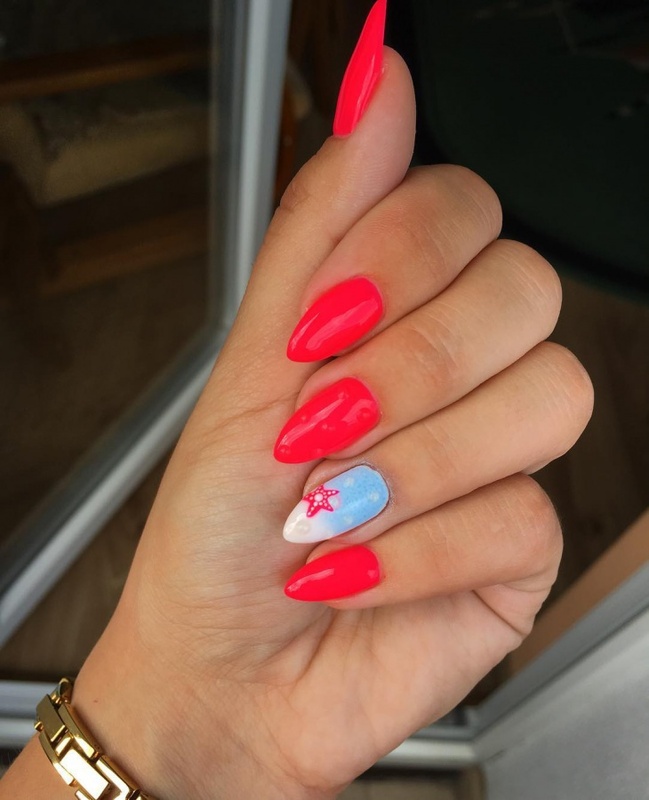 This is probably one of the most unique nail designs – with one nail painted and decorated with white and light blue in contrast to the rest in plain red color. 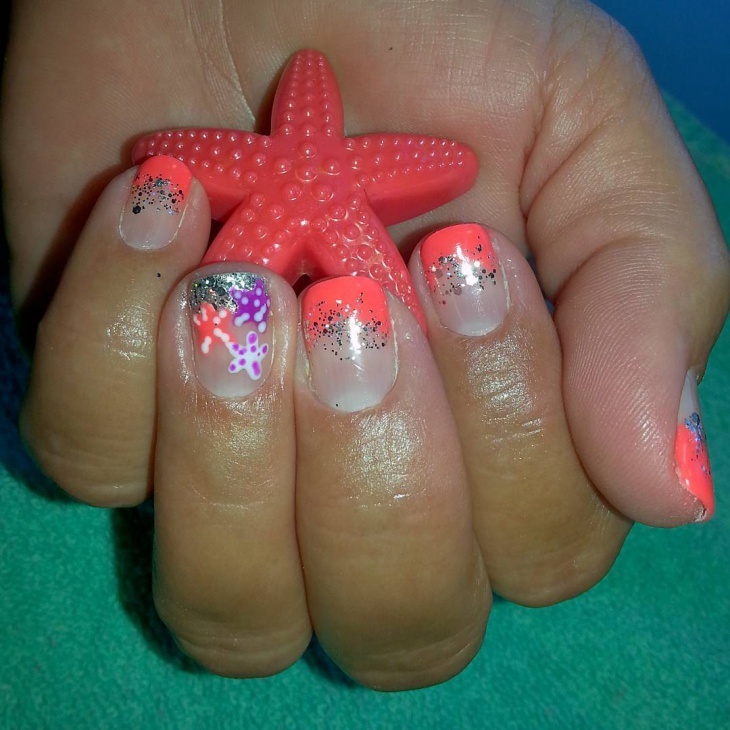 To provide a nice match to the redness of the other nails, a red starfish is applied on the white painted nail. 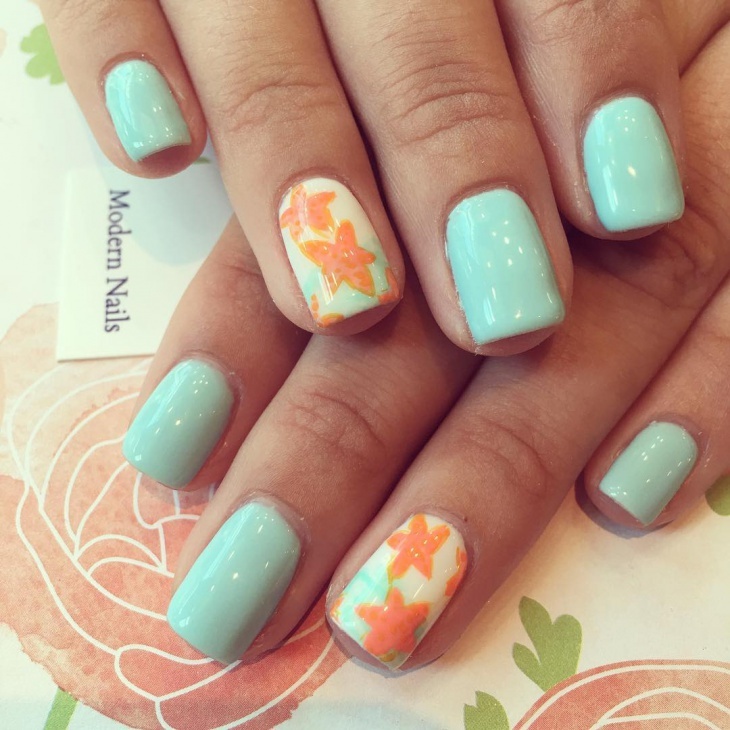 If it is retro nail art you are after, this colorful designs should be on your list. 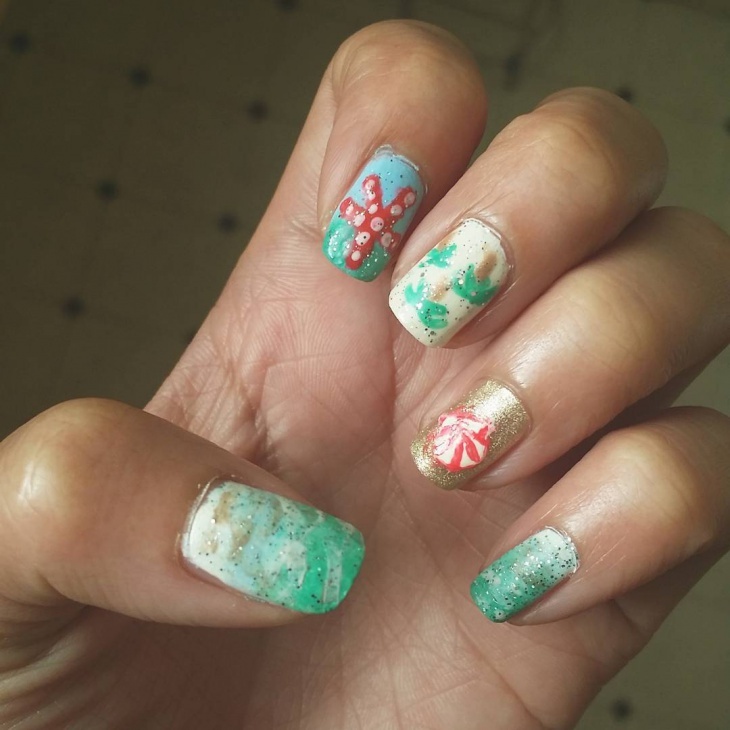 Each nail is painted and decorated differently. 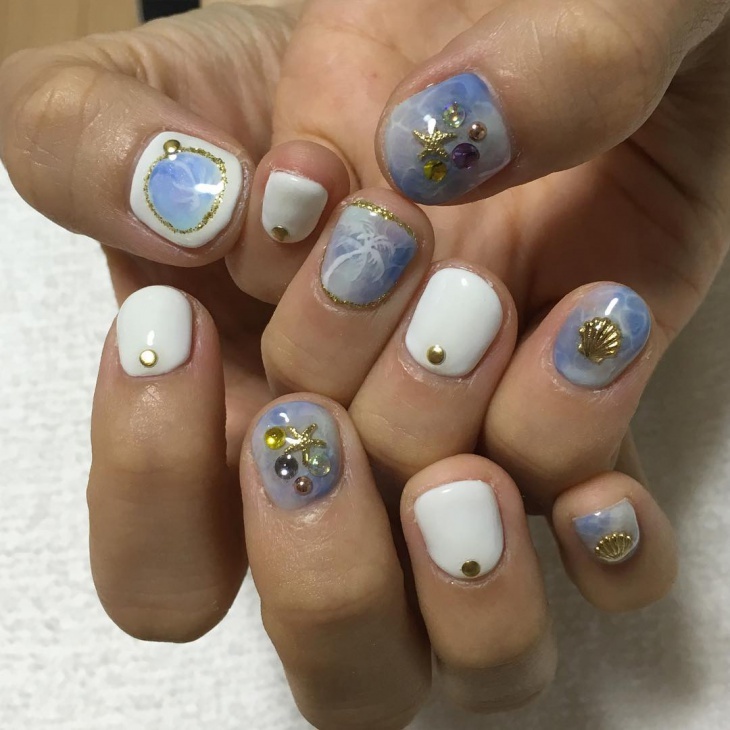 This is a unique approach to creating nail art through a lot of imagination. The smiling pink starfish is effectively placed in a sea of white, blue and lavender paints. 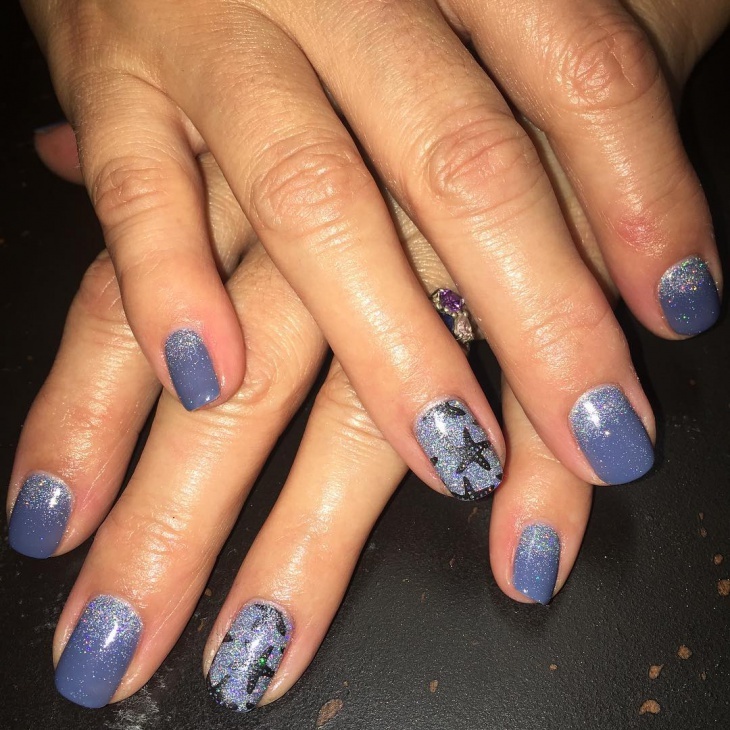 Silver on lavender is the concept used for this starfish French nail design. The single silver starfish is placed amidst the bubbly white accents over lavender paint. 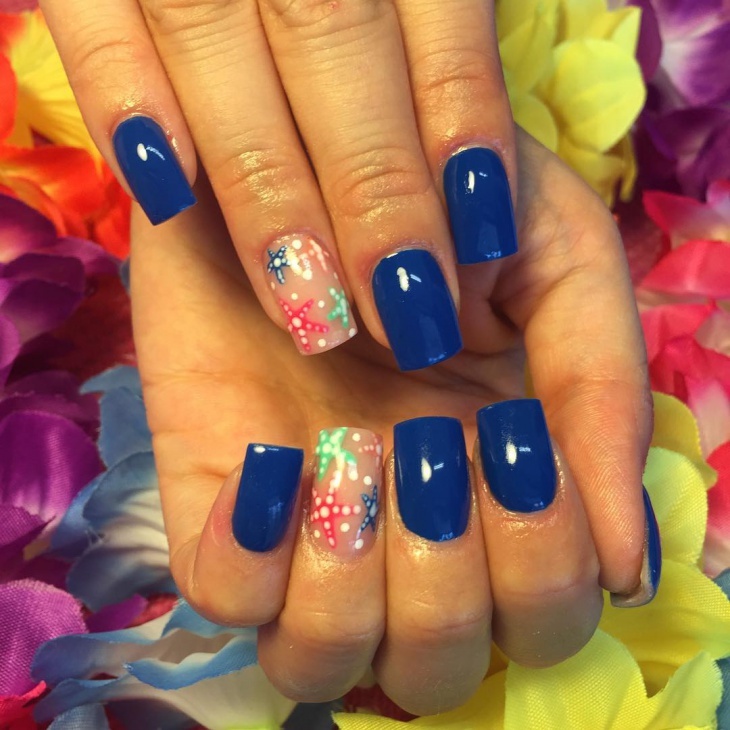 The teal blue nail polish may be boring on its own, but with sea creatures and features (like starfish, seahorse, coral reef and crab) as accents, it has been turned into a dynamic base coloring. This is a perfect example of a simple sea adventure scene. 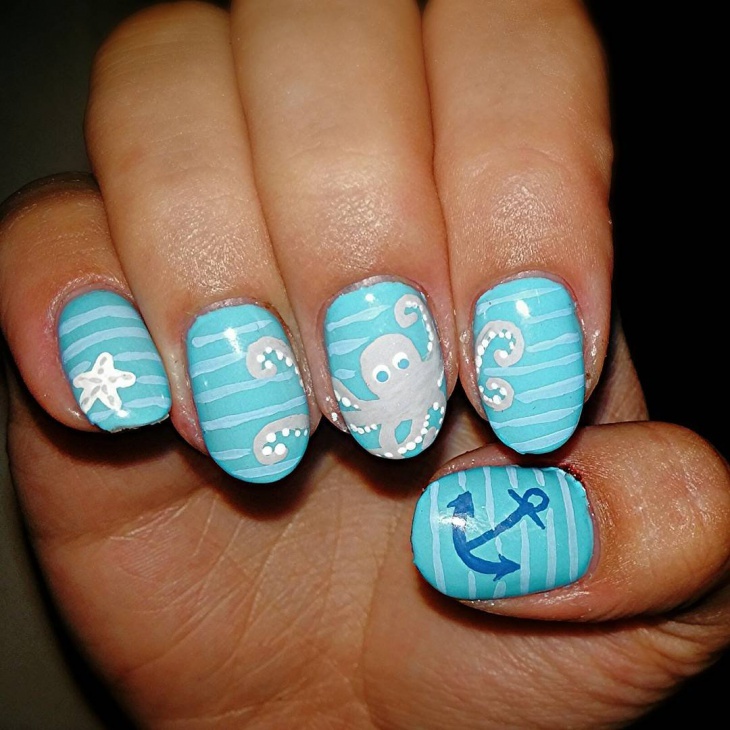 Two shades of blue are used as the water and a starfish and an anchor decorate two fingers, while the three middle ones are occupied by the cute octopus. 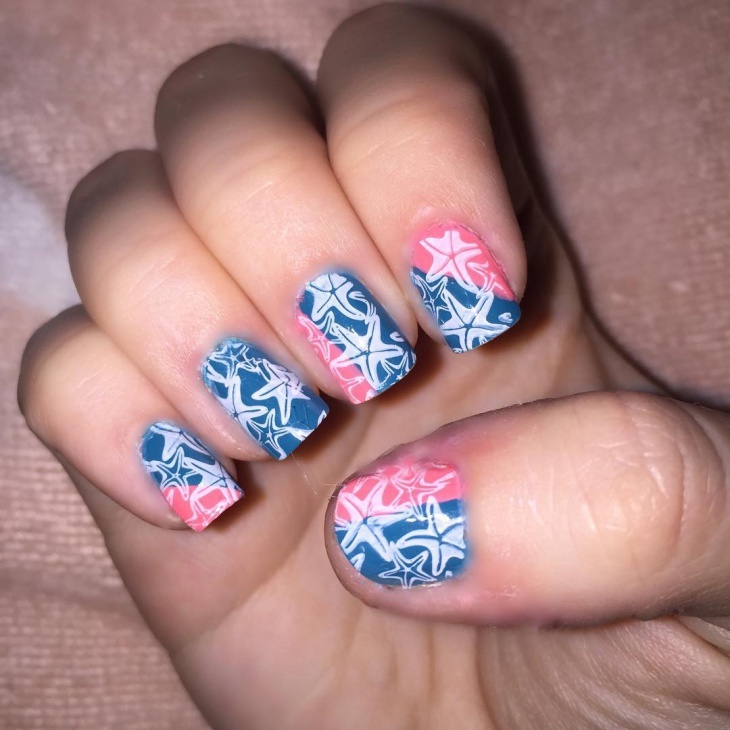 This is a starfish galore nail art design. 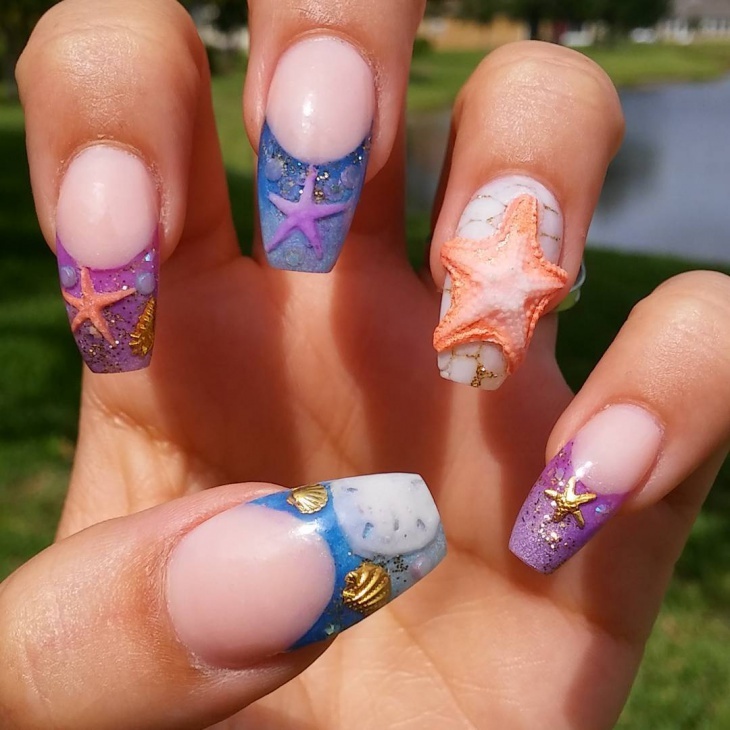 The 3D effect is achieved with the use of starfish nail art decorations of different shapes, sizes and textures. To break the monotony of the concept, one finger is adorned with shells instead of starfish. 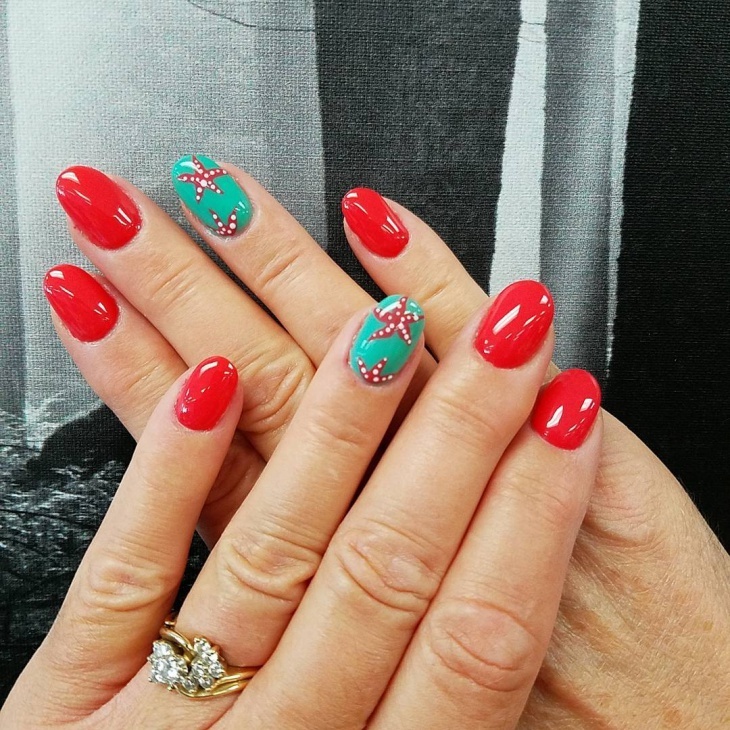 Holiday nail designs are gaining huge popularity these days. Many girls and women are now into this design concept because it is easy to achieve with the wide availability of accessories, materials and decorations. 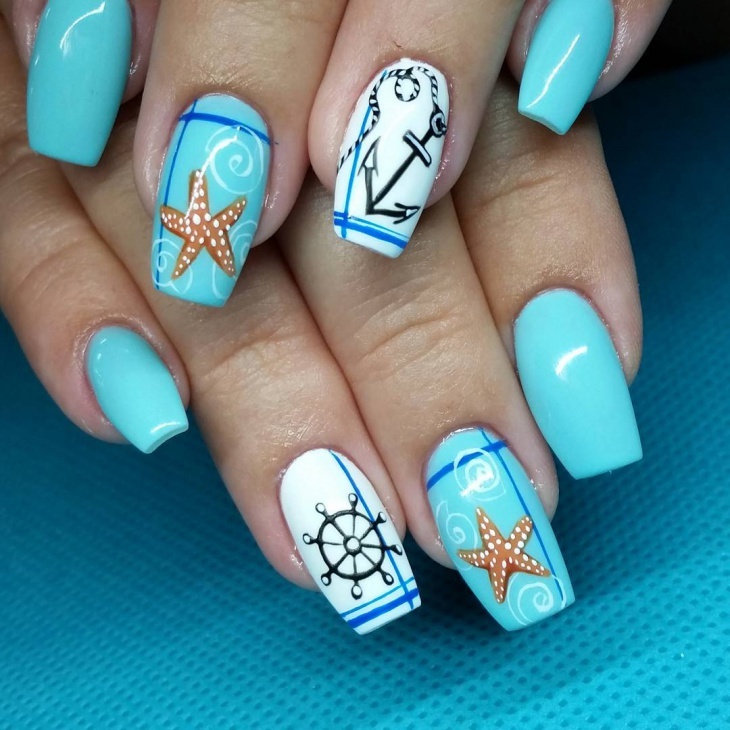 Starfish nail art design is one category that is really very much in trend especially during the summer season.